Price per person. By reserving this Set Menu, you may choose once at the restaurant to order using the Set menu or a la carte. NB : The dishes above may change, depending on the availability of fresh products. 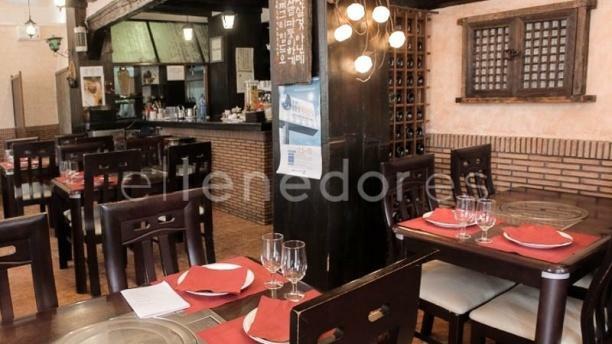 "In La Latina neighborhood, we found this unique Korean restaurant: Seoul. Inside unfolds a traditional and welcoming style. Most of the dishes on its menu are cooked on grills directly on the guests' table, so they can see how the dishes are produced that they are going to taste and eat them at the perfect temperature. The highlight is its friendly and professional service, as at Seoul they always seek to satisfy the tastes of the client." Best Corean restaurant in the city! We only go there if we want to try corean food. The restaurant itself was a perfect choice to pick among other Korean restaurants. The service was quite satisfying. All the food was very savoury & aesthetically pleasing. I’d recommend this place to anyone.